← Where would Evers, Walker take lagging economy? Can the nation move way from hyper-partisanship? JACKSONPORT WI — Over coffee one recent morning at the Square Rigger Café in Door County with some wise old birds, there was a consensus that excessive partisanship in American politics is holding our country back. * Soaring health costs and the resulting lack of coverage for 14% of Americans. * Immigration and corresponding shortage of workers. * The disparity between the haves and have-nots and the resulting resentment. * Crime rates and dysfunction in central cities. * Threats to the Great Lakes from invasive species, algae blooms and dead zones. The Republican and Democratic parties once had big umbrellas that each accommodated a wide range of solutions to issues. That just isn’t true anymore. Major big money on the right and left edges of the two parties has forced candidates to the extremes to win primary elections. Once there, the winners have a hard time getting back to center for the general elections and beyond. The center –no-man’s land – is where the solutions lie on the complex national and state issues. A perfect example of debilitating ideology trumping pragmatic problem solving can be seen in the Wisconsin election for U.S. Senate. Incumbent Sen. Tammy Baldwin has lined up with Sen. Bernie Sanders on “Medicare for All,” even though there is no way that the country could afford the Sanders air ball. Her opponent, state Sen. Leah Vukmir rejects Obamacare and the Sanders proposition, blandly stating her support for market-based solutions, even though there is no effective market place for health care. Both candidates are shallow and partisan on the biggest economic challenge facing the country. Sadly, the one who is elected will be unlikely to seek pragmatic, workable solutions, even when solutions have been worked out by innovative payers and providers in the real, non-political world. Talk-show hosts love the divisions in the country as they yak and rant for ratings. But few serious adults do. The coffee klatch conversation turned to ways to blunt the hyper-partisanship that is proving so divisive across the country. This short column admittedly is broad brush, but, on an optimistic note, there are structural reforms that could be brought to bear. One would be to re-engineer the primary system that generate extremism and wedge politics. Some states, including California, advance the top two candidates to the general election, regardless of party. That forces all candidates to play to the center where the swing independent voters lie. The impact of extremists is dampened. A top-two contest mitigates the impact of big monies spent on TV ads for candidates on the outer edges of the parties. Another device to take power from the parties is by promoting direct democracy. Let the people decide the big issues by referendum. Switzerland promotes consensus with direct democracy. Referenda are used effectively in Wisconsin at the school district level to decide building plans and whether to override state revenue and spending limits to put more local tax dollars into the classrooms. Why shouldn’t local voters decide? It’s their tax dollars. In the first half of 2018, 85% of 71 school referenda passed. A third reform would be term limits, which work well in Colorado. If politicians know they are going to be in office no more than eight years, they are going to be more concerned with a legacy of getting something done while in office, rather than being stuck in partisan gridlock. If a legislator has an office virtually for life, there is little urgency to accomplish anything. Sen. Fred Risser has been in office in the Wisconsin Assembly for 60 years, going on 62. Good grief. 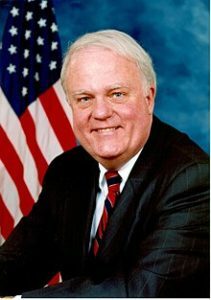 Sen. Jim Sensenbrenner is a career politician, running for his 20th term. He will have 40 years in office. Good grief! How about some fresh blood and ideas? A farther out concept is a constitutional amendment to require voting by each citizen. Aussies face fines if they don’t vote, so 90% do vote. That level of turnout would offset the importance of big donor interests, especially versus low turnout elections, often primaries. The mandatory voting concept would take some major selling, but would change the game. So would taking districting out of the hands of the majority party leaders, which always set up safe districts where candidates don’t have to play to the center to get elected or reelected. Competitive districts would encourage more candidates to compete for office. Another tool that promotes serious thinking about complex issues is the Wisconsin Idea. Bipartisan or nonpartisan blue ribbon commissions, task forces or legislative councils do the deep dig and then make recommendations to citizens and politicians in office. They have been under-utilized since Tommy Thompson left office. These reforms would all generate a return to political compromise, where solutions lie. An example is immigration where a ready compromise is available: tighten our borders, give kids born here citizenship; never give their illegal parents citizenship, but give them work permits. Recall that welfare reform and school choice both passed in Wisconsin with votes from both sides of the aisle. Reformers like the Door County crew would like to see all or most of these structural concepts put into place. But any combination would help to create a more effective democracy. Any one of them would be an improvement over the current partisan, simplistic, sound-bite dysfunction. Amen. Where do I sign up? John. Thank you for your pragmatic recommendations. Local referenda and control, term limits, and real compromise – not partisan politics. Nothing, no one is perfect. We need to find common ground. 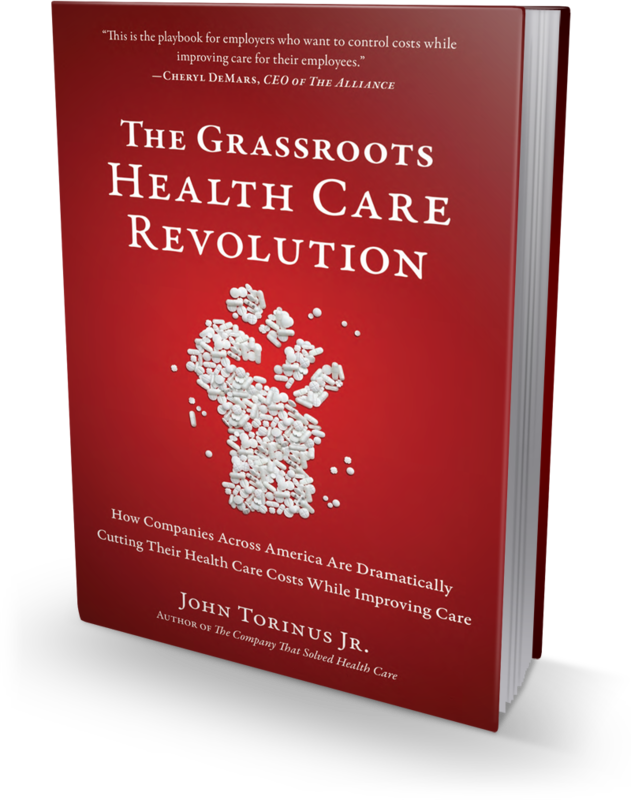 John, despite the preferences of you and your friends, the American people do not share your position that Single Payer Health Care/Medicare for All is an “extremist” position for reform of our dysfunctional health care system. The most recent poll indicates 70% support for such a system (which includes 52% of Republicans). I think you’ve lost the argument. And the cost? The most recent, widely reported cost analysis (by the right-wing/libertarian Mercatus Center) indicates that Medicare for All would cost $32 T over the next ten years. OMG! Outrageous, you say? Little reported was its estimate that if we continue our current system we will pay $34 T. In other words, Medicare for All saves us $2 T dollars over 10 years. Oh yes, and that price also provides comprehensive quality health care to the 44 million Americans who currently have no health insurance. As a business guy, I’d think you’d take that deal in a heartbeat! And, I am in favor of using Medicare as a platform for getting there. It is a much better managed platform than Medicaid, which ACA used as its rollout platform. Bad mistake. Not working. Still 14% uninsured. I, however, would use Medicare Advantage as an enhanced platform. Consumers are speaking, and one-third of Medicare users have opted for the Advantage variation. Why? Because they have choice and added benefits. I would also keep employers in the game. They insure 150 million Americans. Why change that? It’s working pretty well. At better price tags that government programs. But, let employers and employees opt for Medicare Advantage if it proves a better plan. An opt-in program. Let people decide, not bureaucrats. Obamacare was entirely non-pragmatic. It has not worked very well. Let’s not make a top-down mistake again. All good ideas and it would be great to see them implemented. But I’m a realist, so maybe in my children’s lifetime. I would like to add one more to the voting changes: Instant runoff voting. Let’s find out what people really want when they don’t face the choice of a lesser of two evils. How does that work, Doug? Easier to grab an explanation from the internet. This would require changing any necessary rules so that a candidate would need a true majority of votes rather than a plurality. repeated until one candidate achieves the required majority.